Helen Fairbairn is a full-time writer of outdoor activity books and articles. 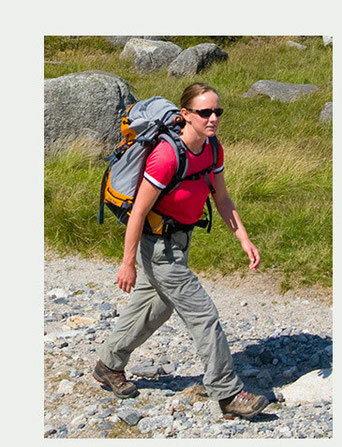 Her love of the mountains began when she was 18, and joined the mountaineering club at Queen's University, in Belfast. As well as making frequent trips around Ireland's mountain ranges, she became a keen rock climber and learnt the basics of winter mountaineering. Since then, Helen's adventures have had a distinctly mountainous theme. A keen traveler, she has explored many of the greatest ranges on earth, including the Himalayas, European Alps, Patagonia, New Zealand and American Rockies. Helen is also a keen kayaker, and enjoys nothing better than sea kayaking around the remote, fractured clifflines near her home in western Ireland. Helen is the author of fourteen outdoor guidebooks, covering a variety of international destinations. Her latest book - Ireland's Adventure Bucket List - was published by The Collins Press in 2018. Over the years she has also worked for a wide variety of magazines and newspapers; she is a former consulting editor of Mountain World Ireland magazine, and was a regular contributor to Walking World Ireland between 2000 and 2014. Helen also provides text for outdoor-themed copywriting projects. Over the past 15 years she has worked with clients like Tourism Ireland, Failte Ireland and Outdoor Recreation Northern Ireland, to produce a wide range of printed and online materials. As well as supplying engaging and authoritative text, Helen also offers complete text-and-photo packages. For these projects she works in conjunction with her husband, Gareth McCormack, one of Ireland's top landscape and adventure photographers. To find out more about Gareth and browse his collection of images, see www.garethmccormack.com.